HURRICANE — A driver fell asleep while driving on state Route 9 Saturday morning, allegedly causing a two-car collision that slowed traffic on the road for over 30 minutes. The Toyota Tundra was in the westbound left turn lane waiting to turn south on 5300 West, toward the fairgrounds. The Jeep struck the Toyota behind the driver’s side door. Both vehicles were disabled and had to be towed away. Both drivers and a boy in the Toyota Tundra were all uninjured and refused medical attention. The driver of the Jeep Cherokee was cited for careless driving. All occupants were wearing seat belts. 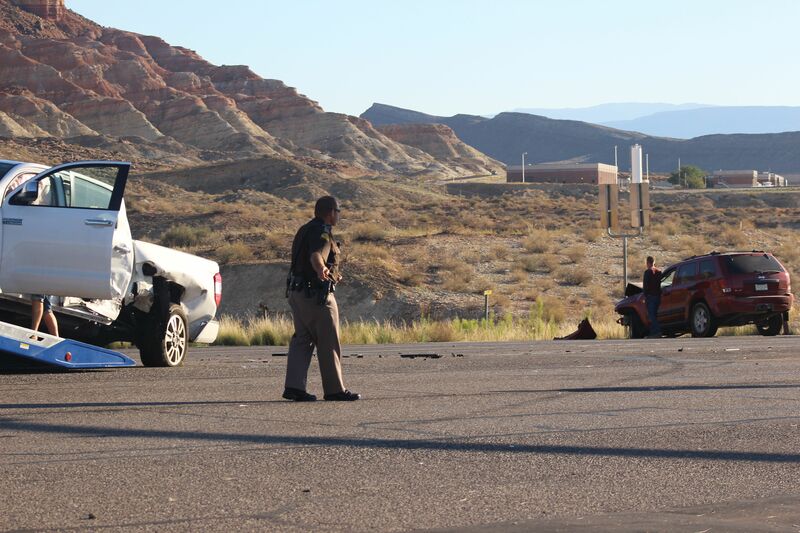 Units from the Hurricane City Police Department, the Washington County Sheriff’s Office, Utah Highway Patrol, Hurricane Valley Fire District and rangers from Utah State Parks responded to the scene.